To borrow a phrase from rock group REM, Punta del Este and the Uruguayan coast is, “the end of the world as we know it.” Dig your toes into the silky sand, look out across the frothy blue sea and wrap your mind around the fact that the next land mass is the Falkland Islands, and then Antarctica. The peninsula that juts out into the Atlantic Ocean offers something for everyone on its Mansa (or calm) side and its wider Brava surfing side. There’s nowhere else like it in Uruguay. Or, perhaps, the world. 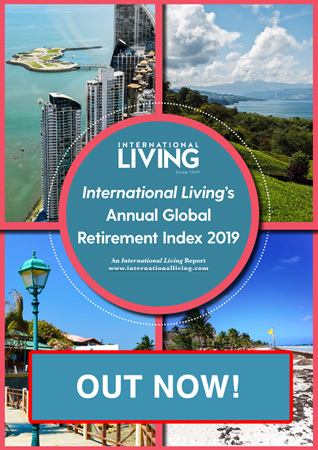 In fact, some expats who live in “Punta,” as it’s commonly called, say this may be the best of the world as we know it. After spending a few days in Punta, I was inclined to agree with him. My impressions, in fact, are that Punta is like a shinier, prettier southern California…a more upscale Venice Beach without the panhandlers and gritty edge. The height of Uruguay’s summer season is the end of January. During January and February, well-heeled vacationers from all over the world come to enjoy the sun, sand, and surf…to dine beside the sea or play all night in the casinos and nightclubs Punta del Este is famous for. These two months alone are when the majority of hotels, shopkeepers, and restaurant owners make the bulk of their annual income. Some of them, in fact, are open only during these lucrative summer months—and during the fresh November-December spring or the tail end of summer in March. The rest of the season they close their doors and count their money. 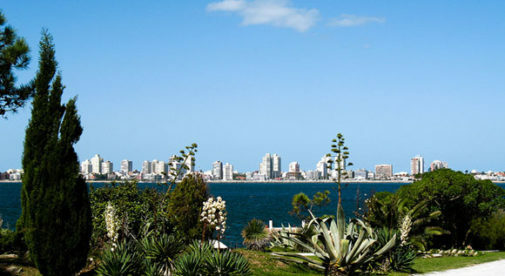 In winter, though, Punta del Este takes on a very different, far more introverted personality. Besides the shuttered shops and restaurants, even the traffic lights are disabled as there are so few cars on the roads. And that’s exactly the way those who live in Punta del Este like it. A few months of high-energy glitz and glamor and then a few months to recover before it all starts again. I could definitely understand the attraction of that. Enough time to get your fill of a truly first-class, beach resort playground and even more time with those world-class beaches all to yourself. All that, and Punta del Este is easy to get to…less than a two-hour drive from Uruguay’s sophisticated capital city of Montevideo and its international airport. But Punta has modern amenities all its own…from shopping malls and supermarkets to high-tech, modern hospitals—and no, these don’t shut down during the winter. By the way, Punta del Este’s world-renowned property market show no signs of abating any time soon, either. This is where you’ll find the highest prices in all of Uruguay, although that’s certainly to be expected in one of the world’s finest beach destinations. Still, I found a two-bedroom, two-bathroom apartment just a stone’s throw from popular Playa Mansa selling for $195,000—that could rent for 15 days in January for $4,000 and 15 days in February for $3,000. In fact, house and apartment rentals bring in five times or more during January and February alone than at any other time of year. And as hotel rooms at this time of year are ridiculously expensive and hard to come by, demand is high.